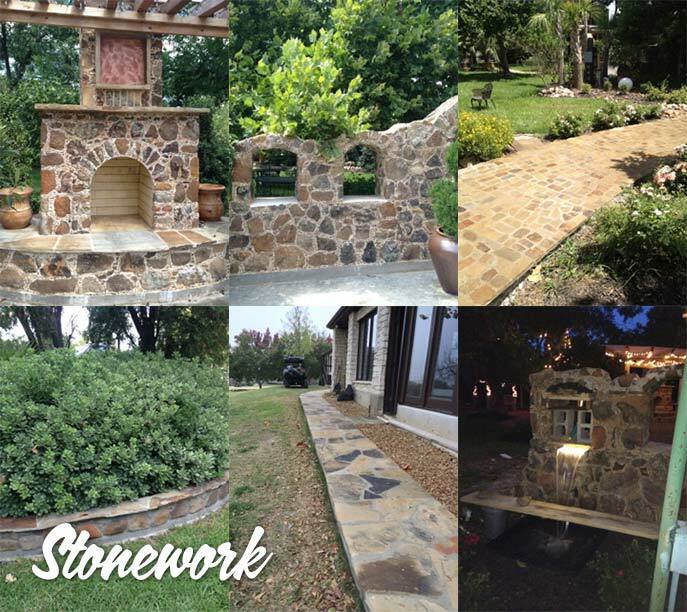 We provide and customize to enhance your property with retaining walls, pathways, patio fireplaces, outdoor kitchen, fire pits, wishing wells and planters. We have a nice selection on Texas river rock, Flagstone, Boulders, Brain Rock, slabs of Oklahoma Flagstone, Tumble Stone and Chopped Stone. Zero Scape – We customize to your needs with native grasses, cactus, shrubs and hardy perennials. We carry numerous items for a touch of character- wagon wheels, whiskey barrels and iron, concrete and stone pieces. Your e-mail addres will not be sold or spammed. Thanks for your e-mail submission!